We are absolutely delighted this evening to be featuring Deb Robson as our guest blogger. Deb has been extremely supportive of our WOVEMBER aims, emailing us on the very day that we published this site with warm words of encouragement in spite of having a schedule absolutely full of fibre-related and WOOL-centric classes to teach. If you follow Deb’s blog, you will know that she has been working extremely hard over several years with Carol Ekarius to compile the definitive text book on different animal fibres and their unique properties. The Fleece and Fibre Sourcebook is an essential tome in the library of anyone with any interest in textiles derived from animal fibres and most especially, the wool produced by different sheep breeds. If you are ever lucky enough to meet Robson, you will be struck by the extent of her knowledge; her passion for preserving rare and endangered breed of sheep; her conscientious, methodical approach to working with animal fibres – especially WOOL -; and her incredibly generous community spirit. The Fleece and Fibre Sourcebook reflects all of these qualities, being thorough, carefully arranged, absolutely chock full of invaluable information about, well, Fleece and Fibres; and a true gift of knowledge to the knitting and spinning world. All this is a long preamble to saying that we feel very honoured to have Robson AKA WORLD’S No. 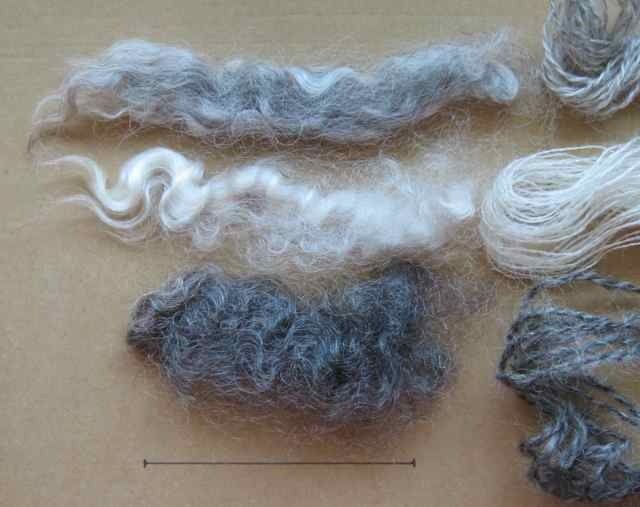 1 WOOL EXPERT sharing her words on the Wovember blog. I can also highly recommend the post that she did on the Juniper Moon Farm blog for further sheepy reading. After bouncing a couple of emails back and forth, we decided to republish Deb’s piece on rare and endangered sheep in the UK, because the continued survival of those breeds is partially contingent on WOOL being once again restored to its might and prowess as THE UR TEXTILE in this country. As long as we buy 100% Polyester coats parading under the monika “WOOL” without developing new textiles which utilise the unique properties of our regional sheep, these breeds will continue to be endangered, and we shall all face the potential loss of our agricultural and textile heritage here in the UK. Without further ado, here is Deb Robson speaking far more eloquently than I can on the subject of rare and endangered sheep breeds in the UK. Categories are based on numbers of breeding females. The Norfolk Horn is not the original breed, but has been bred back up from near-extinction (just a few sheep), using in part one of the more modern breeds that had previously been developed from a Norfolk Horn foundation, the Suffolk. Called the New Norfolk Horn for a while, the “New” part of the name has now been dropped, even though the successors may only carry part of the genetic heritage of the original breed. The Isle of Man cares so much about its traditional Manx Loaghtan sheep that during the foot-and-mouth epidemic of 2001 the parliament, known as the Tynwald, cancelled one of the island’s highest-earning tourist events (a massive and famous motorcycle race) in order to reduce the possibility that the sheep would be exposed to the illness. The Southdown is not on the RBST list, but is on the similar list prepared by the American Livestock Breeds Conservancy (ALBC). The two organizations have different criteria for evaluating populations. The information released with the new edition of the watchlist notes that some livestock breeds have recently become more vulnerable because of world economic conditions. People who could previously have kept a small flock have had to sell their animals. You’ll note that the Whiteface Dartmoor and the Devon & Cornwall Longwool face the double whammy of limited overall numbers and high geographic concentration. I need to keep and archive copies of the official lists, marked by the year (the RBST PDF for this year is clearly labeled, but I think that’s new). I do have extensive notes, and copies of web pages, and (somewhere) dog-eared copies of pages pulled from old copies of RBST and ALBC publications. Breeds don’t tend to move quickly up or down on either the ALBC or RBST lists: conservation is a slow process. For The Fleece and Fiber Sourcebook, co-author Carol Ekarius (the livestock person, to my fiber side of the equation) wisely suggested that we provide a label for “conservation breeds” instead of listing specific categories for the individual breeds. That overall status isn’t going to change quickly, whereas the breeds’ specific locations within the population assessments do move over broad swaths of time. Handfuls of individuals can make a major difference in a breed’s prospects—in either direction. Any shift in status, either up or down, is worth remarking on. According to my notes, there were two shifts among the sheep from 2010 to 2011. These breeds have both moved in the more vulnerable direction, toward lower populations. They are breeds with very deep histories, each located with a specific landscape. 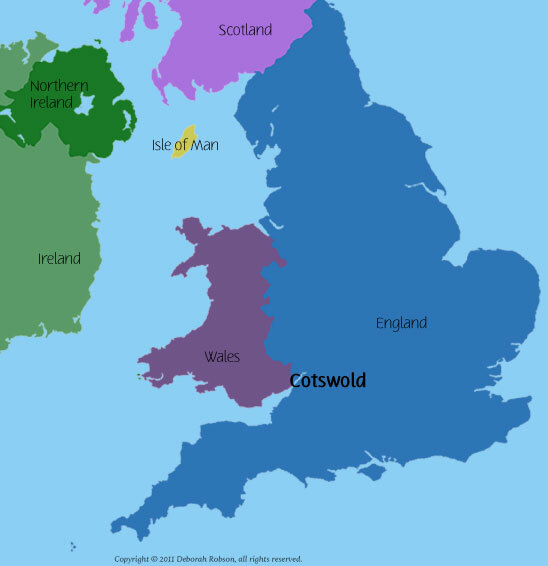 Cotswold, one of the luster longwools, comes from the Cotswold Hills, on the western and southern edge of central England (how’s that for a confusing description? check the map for the area I’m talking about). The breed once was a major support of the British economy. It is a lovely handspinning wool, excellent for knitting and crocheting and exquisite for weaving. The breed contains genetics for a range of shiny fleece colors from black through a variety of grays to glistening whites. 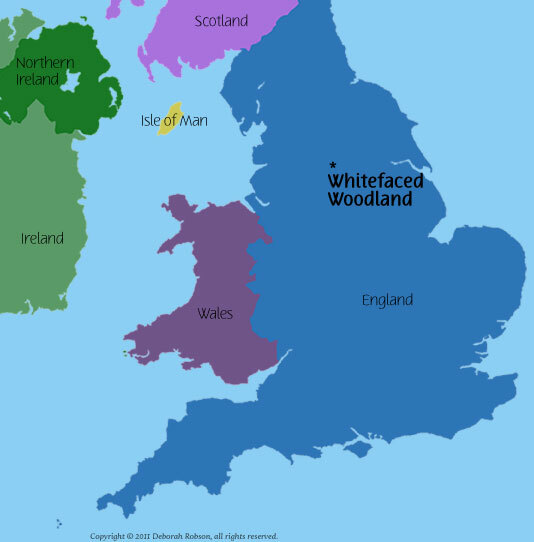 Whitefaced Woodland, from sheep with durable constitutions that originated in the southern part of the Pennine mountain range, produces fiber that is quite variable from animal to animal, with some coarser and some relatively finer (although none gets past “medium” in feel). The wool, like their faces, is white. 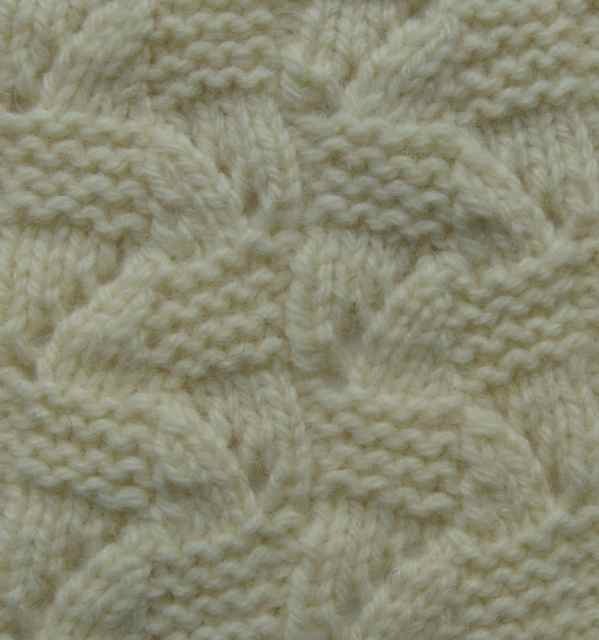 I knitted the swatch with Aran-weight Whitefaced Woodland yarn from Garthenor (spun at Sue Blacker‘s mill). The pattern is #107 from Knitting Patterns Book 250 by Hitomi Shida. Sheepwatching notes: Even though its breed is not labeled, and I am (as noted above) a fiber rather than a livestock person, and I’m open to information that might correct my notes, if I had to say what breed is in the photo at the top of the RBST’s list I’d sure pick Oxford. The sheep in the photo is undoubtedly one of the six core Down breeds, because of its colored face and white wool—well, and the general shape of the face. Three of the six core Down breeds are on the current Watchlist (Dorset Down, Oxford Down, Shropshire; a fourth, Southdown, is on the ALBC rare breeds list; Hampshire Down and Suffolk are not on either list). There are other breeds that have colored faces and white wool, but the Down breeds have a kind of characteristic “puffy” look (that’s a highly scientific descriptor that I just made up). Shropshire is another possibility, and Shropshires’ faces are darker than those of Dorset Downs, but they have a somewhat differently shaped profile and growth pattern of wool on the face. Although not all Oxfords have as much wool on their faces as the sheep in the picture, many do (and some have even more). Plus the face shape is Oxford-y, if I dare say such a thing. Oxfords are sturdy sheep, and they are exceptionally large. Size isn’t something we can gauge from that head shot, but we can get hints of posture. And that sheep looks like it’s standing in an Oxford pose: sort of upright and staunch. I vote for Oxford.